Did you know that majority of sites have disjointed content and architecture that negatively impacts their rankings, thus reducing traffic? What if I told you that your website is not structured properly for search marketing? Thankfully this can be fixed with what is called “siloing”. With proper siloing you can beat other sites that have massive authority and are doing it wrong. In this post I will show you exactly how. How Do People Search For You? Virtual silos can exist with or without physical directory silos. Siloing has been around for many years, but has been the most neglected aspect of SEO across the industry. Sites that fix their internal silo structures have been known to get immediate gains of 20% to 30% or more organic traffic within a few days. In this post I talk about “siloing” and how you can leverage the core principals behind website silo structures to boost your organic traffic. The aim of good siloing is to convey to Google and users that you are a subject matter expert on the various topics that are crucial to your business. And, you do this by simply grouping and connecting all the pages that talk about related topics, together (in whats called a “silo structure). To put it in simple words – siloing is organizing the content on your website into similar themes and content clusters. These thematic clusters of content clearly demarcate and define the different pages on your site together by associating them in tightly knit groups based on the topical relevance of each page to another. By silo structuring your website you help users and the search engines by clearly grouping and linking similar topical content close to one another. if your site sells laptops, then you would want to build topical relevancy in every area that google considers related to laptops. These could be various laptop brands, the different kinds types of laptops, the different laptop processors, perhaps the different screen sizes they come in, laptop repairs, and laptop guides. How Does Proper Siloing Help Sites Rank Higher? With your new silo in place, your site will improve its overall navigational elements and streamline the usability of your site for visitors. 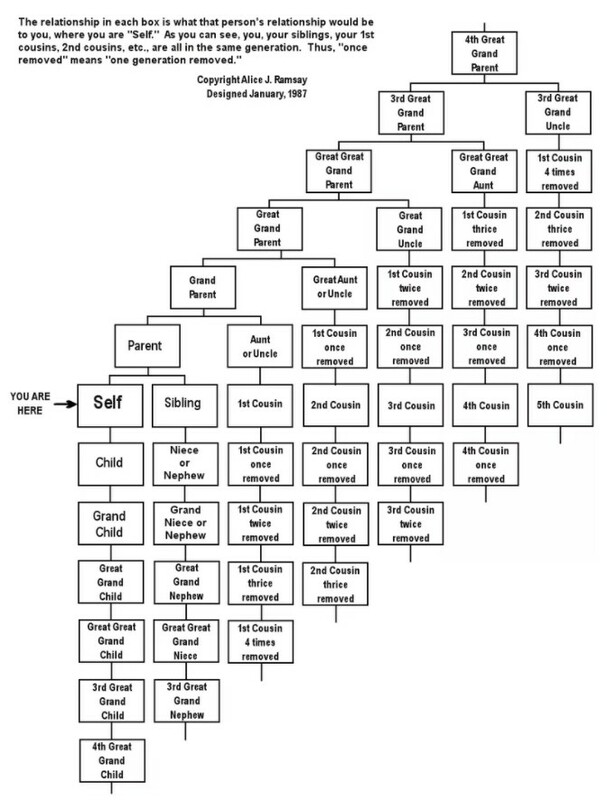 This establishes a clear hierarchical structure for the site. A good silo structure also makes it fairly easy for search engines to crawl your site and understand the relationships between pages and thus make a more focused database entity of your website around each topic it addresses. With solid siloing in place, each page on your site will gain massive amounts of internal link juice build up – as it gets grouped and connected to other similar pages. This results in building up your sites topical relevancy and establishes your subject matter expertise. Because of the way Google search and content classification algorithm works (and because your silo also increases visitor engagement on your site) – you will notice an almost instant boost in search rankings, with proper siloing. There are two specific ways in which you silo your site so that you can logically connect your topical pages. One is called physical siloing and and the other is virtual siloing. Lets look at each of them in detail in the next section. Keep in mind that the method varies a bit based on the type of site you are building – blog, corporate site, ecommerce site, review site etc. but the overall principals remain the same. You just have to intuitively apply them to your situation. I also include some real examples and case studies – so you can get a clearer perspective and understanding of how things actually work. Siloing will help clarify your site’s topics and their subject relevance for the search engines – and is the very groundwork for ranking high. Sure, you can rank without silos – but that’s not the point. Building solid silos gives your site rocket boosters for ranking high when you execute your other SEO strategies. As you group and connect pages together the link juice gets passed between them and builds up your relevancy, reinforcing the strength of each theme on your site. Siloing a website requires careful planning and execution that can be summarized in the following steps. Identify the main relevant and legitimate themes of your website and organize them into topics and sub-topics on your site and organize them hierarchically. Step one of siloing is understanding what your site is about, and what themes you will have in it. This is key. It is the foundation for structuring of your site and all the other elements that follow. Know the primary and secondary keywords for each topic on your site. Your Silos should target your specific keywords as well as your general keywords. Make sure you do not ignore either! Classify your site type – blog, corporate, ecommerce, product review, forum etc. Understand how people search for your website – search main queries. Have enough content for each silo that you will create – you will need at least 5 supporting pages for each silo theme. Supporting Pages are pages that are created only for the purpose of passing link juice on-wards to the main money pages in the silo that you want to rank. Supporting pages are pages that support the money pages you want to rank. It is highly recommended that each theme of the silos have at the very least five supporting pages. Anything lesser would not have a high signal for content quantity existing within the theme and to justify the existence of the theme to the engines. Build content with the primary and secondary keywords for each main and supporting page making sure each keyword is relevant to the page and silo and that your content is of expert level quality. Search engines look at your site structure and then see if there is enough supporting content with keywords for each theme that you build your silos around. Siloing is about building topical relevance inside each silo and sub-silo with sufficient supporting articles and links. The amount of content you write depends on how many silos and sub-silos they each have. Typically you need at least 5 pages of supporting content for each silo. If you have a sub-silo then each sub-silo should have 5 pages of supporting content. And, each silo page should itself have content within it. – There are two was to silo your site once you have all the data above – virtual silos and physical silos. You build your website silos by implementing internal linking (virtual silos) and/or your site’s directory URL structure (physical silos) to form around your selected themes. Never randomly link or group pages together as that will result in lower rankings as you will be diluting the closely knit themes in your site and thus confuse Google. Once you have all this planned you can start implementing things. This involves physical directory structure siloing through your url structure. This is done through internal linking – contextually or via navigational menus. 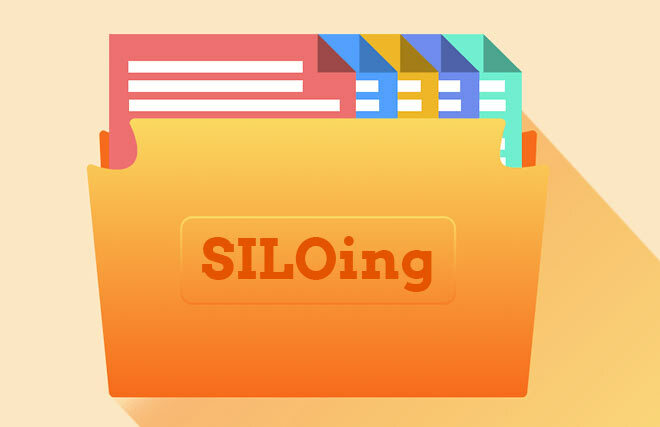 Physical siloing is organizing your site’s physical URL address (directory structure) in a clean and clear system so that users and search engine bots can easily understand what your page and topical themes are about. By creating a physical URL directory structure in a website that is based on the various themes of content you have – you are making an organized system of storing related pages and sub-categories for each theme. You are reinforcing a message to the search engine bots and users that the actual sorting and storing of content is defined by the URL directory structure of your site. 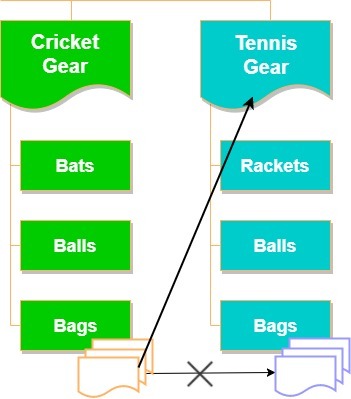 The directory naming system above helps establish that these are all cricket gear, and more specifically bats. We have a folder structure called “bats” which is the category under which all bats are located. Then you have a sub-category for each brand of bats listed (example kookaburra brand). Then within the cricket bat brand URL, you will potentially store all the different brand models for that bat’s brand. This helps focus the location and hierarchy of content in individual themes and avoids generic and randomly located pages. As in the example above, don’t be afraid of creating sub-silos within silos (sub-category URLs within category URLs) if it is required and there is a need for further classification and there is sufficient content available for each silo. However, keep the sub-levels within reason and try not to exceed more than 3 levels deep if possible, unless absolutely necessary. Which brings us to the next point of evaluating where your actual ranking page (money page) could be located inside the physical directory structure. You will learn later that the actual page you want to rank (your money page / product page etc) – can, in-fact be located at another level that is separate (and outside) from the category / sub-category structures that you make. TIP – The actual page you want to rank (money page) may or may not be located within the physical directory URL structures. This is important to understand. In some cases you would locate it within the URL structure and in some cases you may not not. The choice you make can depend on how many levels you have ultimately in your URL structure – and whether there is a danger of “forced” over-optimization of the keyword because you don’t have a choice. the URL may be over-optimizing the primary keyword you want to rank for (by having it repeated multiple times over). I may end up over-optimizing the actual URL of the page / product by repeating keywords that are essential to exist because of the nature of the page but will be causing primary keyword to be repeated often – thus possibly triggering a potential Penguin over-optimization penalty. If I am suspecting this may be the case, I simply avoid all the scenarious above by creating a physical silo that positions the final money pages (products) that I want to rank at another physical level. This is a cleaner and shorter URL structure, that is not located too far from the homepage URL and it also has a slug with the keywords are required without it being over-optimized. If you do this – you will still be connecting similar pages/products with one another using virtual siloing as outlined below. Be very selective when it comes to choosing the names for your silo structure URLs (the slugs). You need to make sure that it conveys the main keyword and not a generic word that is unrelated to the niche or theme you are trying to make the silo for, as that would not pass down maximum the power. So, in this example you should NOT have something like…. Notice the word brand in the above. It does not convey anything related to cricket in a sense. Hence it is not desired or required to be in the URL as there will not be any theme built around “brand” but rather your themes of silos will be built around cricket-gear, bats, kookaburra etc. Your silos category page URL can contain the keyword that best describes what your silo theme is going to be based around. Your actual money page URLs can be optimize to contain the keyword you want to rank for. You can mix the money page TITLE and H1 to have other closely related primary keywords so you cover a larger set of primary keywords without over-optimizing. Notice how I have selected different but related words in each of the instances above. This helps create diversity to rank multiple related keywords and also avoids over-optimization issues. You also don’t want the H1 and Title to be the same as the permalink. Virtual siloing is all about using internal hypertext links to connect pages within silos or themes. These internal links can take the form of navigational menu links or contextual links. You will need to use the relevant keywords anchors while dropping these links in a clear and concise manner without having to worry about any over-optimization (you CAN go overboard with using anchors in the anchor text). While you do virtual siloing – it helps feed the search engines the right signals when their spiders crawl your site by following links you insert within the content, so they can map out a sitemap and link juice distribution based on the links connecting the various pages. which pages are the most important pages on your site (pages with maximum internal link juice coming from supporting / other pages). By creating links between topics that are closely related and part of each of the themes on your site, you are linking together clusters of pages that are similar and you are building the theme relevance across each vertical of your site. You are automatically creating a hierarchy of content within each theme with landing pages and supporting pages based on the linking pattern. Creating tightly customized and grouped navigational link sets (link menus) that are unique to and appear only on all the pages within the same silo (theme or category). Your main menu navigation should only link to your top level silo pages of your site, and have a drop down links list that links to the main sub-category pages in each silo. Within each of these top level silo pages you can create another menu as a sidebar widget, for example – that links to the sub-categories or pages inside that silo. Doing this tightly encloses your silos as you reinforce your theme through these unique menus within each silo. This way you are creating your own tree structure inside each silo. In addition to connecting the pages via navigational or menus – you can use contextual links that appear within the content of the page and link out to other pages or supporting pages at the same level or upwards to the actual category level page. Virtual silos are created to pass the optimization signals by telling Google what the silo themes and page hierarchies are by virtual of the links between them – and has nothing to do with the physical directory structure silos. Physical directory structures are only a bonus and separate method grouping the pages in each of your themes together). Virtual silos are a way for existing sites to restructure their content themes without having to go through the trouble to change the physical structure and break the site URLs. In the absence of a physical directory silo (if you cannot for some reason or the other have a physical directory structure created). You need to ensure that your silo pages link to one another and that the supporting pages link upwards to the upper level main category and sub-category pages. Your most important pages should be located at the top of the directory structure (as close to the root URL as possible) and should only be one or two links away from your homepage. This will allow your homepage to pass maximum juice to them. The homepage should typically link to only the top-level money pages (landing pages) or your site. Then in turn these top level pages will link to subcategory pages within their silos. Each of these subcategory pages will link down to supporting pages that exist within that subcategory of the theme. The links can freely go downwards or upwards as long as they stay within the same silo. Pages on the same level can be cross-linked to – as long as they exist within the same silo and they should never link out to another silo in your site. You will create secondary menus at each supporting page level so that each article links to the other article at that level. In a virtual structure you need to link each supporting page to the upper level category page and also to the other supporting pages within that theme at the same level. Its important to restate that support pages always link up to their parent landing page (money page you want to rank). While linking and creating virtual silos the page being linked to does NOT need to be in the same directory structure as the page giving the link. However, you should never indiscriminately link two landing (money pages / support pages) that are located in a separate theme or silo as you will dilute the concentration of the links and link unrelated content thus causing a loosely knit virtual silo. If you must link to another silo… make sure you link from the money page to a category level that is located above in the other silo as compared to the location of the page linking out. If you must cross link as a necessity for some reason other than SEO, then you can simple add the rel=”nofollow” tag so Google does not pass the link juice across these two unrelated pages that are located in separate silos. You can link two category level pages together IF they are on the same level of the silo. You then link to the different brand pages contextually and within the secondary menu in the sidebar widget and you could link to a specific bat(s) that you wrote about in the article. As another example – if you have a tech site then you don’t need to build a silo with the /tech/ folder in it…. WordPress does not build proper Silos out of the box. You need to tweak WordPress to be able to do all this and you need to create custom pages at the top category levels and and use special plugins to do some of the work faster. Turns all your post into pages and has a bulk edit feature also. – Make pages called – “bats”, “balls” etc. – On the bats page, write a general article about bats. – Create another category for juniors. – At every level, you will need to make sure you have a good article written on that level. – Then you create and link to the actual product pages that you want to rank (your money pages). These money pages will have supporting pages that are created specially for them and will link to them. – Finally, you need to 301 your old articles. – You will need to make sure that you maintain the permalinks for the category to be the same as that for the page. So, when the category is accessed at cricketstore.com/bats/ the page is diplayed with what you put there (article and sub-links and contextual links etc. to other pages). This is a good silo structure and you can branch out things in a similar manner and then have supporting articles written at the levels. This structure builds up the topical relevance and passes it upwards to the more general categories. This is exactly how we niche down in our silos. You should be as precise in the keyword text used as the anchor links as the primary content of the page being linked to. This helps tell Google what the page being linked to is about, and optimizes the link juice flow for that keyword. You can be as specific as possible using a multiple of diverse primary keywords across the multiple supporting pages that link to the money page. Using highly relevant anchors helps tell Google what the specific money page and overall theme and silo is about. You should always avoid using image links in your virtual silos. You must use virtual silos always for every website and reinforce it with the physical directory silos if possible to get maximum power. Your most important pages should be located at the top of the directory structure and should only be one or two links away from your homepage. This will allow your homepage to pass maximum juice to them. Virtual siloing increases the link juice and power to the main pages getting all the inbound links on your site, and adding physical silos strengthens your optimization efforts. Its important that you use keyword queries at the time you strategise to choose your silo and theme structure. 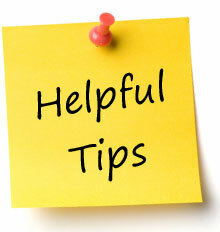 You need at least five supporting pages inside each silo that link upwards to the main page. Anything lesser than this would mean a weak signal to Google – and would dilute the ranking ability of the silo structures main page(s). Naming each supporting content page with related topics as the theme will reinforce the silo power, as is naming of the physical directory structure. If you would like to reverse engineer your competitors SILO strategy, then you can query Google with this command and it will show you all the related pages they are using in their Silo structure or that Google sees as their Silo theme for the keyword you insert in the query. You need to redirect all your attachment pages (images) to the main post page URL as you don’t want the individual images to have their own URL pages and indexed by Google as thin pages with content of just one image. This is bad for SEO optimization and passes a thin content signal to Google if you have many images in your site. While creating backlinks from external sites to your site for each silo structure – you should distribute the ratio of the pages you link to. Below is a typical recommended ratio for backlinks coming in for each silo theme…. The anchors to the homepage can be the bigger picture and more general keywords while the the anchors to the supporting pages can be more long tail and specific to that silo theme and page content. When you create content in your silos money page that you want to rank the content should be located at the top of the page. In your category level pages, if there are titles and snippets from other pages inside this page, then this wont count as duplicate content as Google knows this is a category page. On your brand page, you should write a 1000+ word article about the brand on the top section and then list and link to all the product pages of that brand in your site. If you have a specific product in a brand, that you want to aggressively promote – then you can write a large article of 1000+ words on that product page itself. This will help rank that product page directly. You can then build out further supporting pages for that product – each article talking about the main benefits and features of the product… or, get creative and write stories on how the product helped xyz or about a great new feature or add-on to the product and why its the next big thing since sliced bread! Just get the creative juices flowing and remember to write nice supporting articles about some interesting aspects of the product! You could put related posts in the sidebars also, that displays other posts inside the same silo. This will not dilute your link juice or silo power – and will only be user friendly driving more clicks – reducing bounce rates by increasing user interaction and dwell time on your site – which we all know boosts your SEO ! In many cases for some of my client sites I create pages only and not posts. If you want to use tags then you should noindex them. If you have a large site with say 20 blog posts in about 10 different themes (200 total posts) on your site then you will need to create topical groups. You can do this by simply choosing a parent page (your main category page) and then create custom menus within each group. So, each page inside the group of 10 pages of that silo has a menu widget in the sidebar that links to the other 9 pages (at the same level) – AND you have a contextual link in each of the 10 pages that links upwards contextually to the main category / parent page. 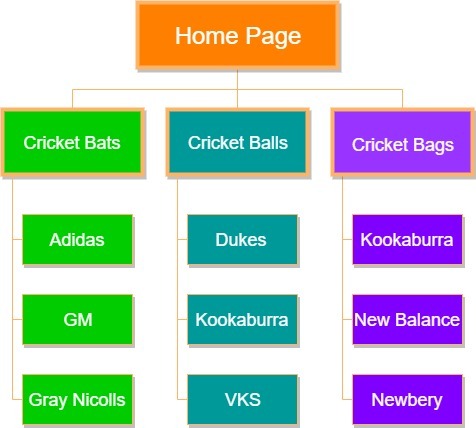 As in our earlier example – we could use virtual silos to link together three distinct content themes for cricket-gear, cricket bats, and kookaburra brand. So, in this case we have 3 distinct silo directory level structures at each level. Each silo would have its own tree. 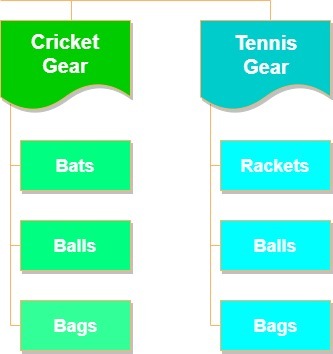 So at the top directory level – we could have 2 sections – /cricket-gear/ and say /tennis-gear . Then, each of these would have its own silos under them (physical directory sub-levels or virtual silo connected pages). So, for this example – at one level down the cricket gear silo could have /bats/ and /balls/ etc. 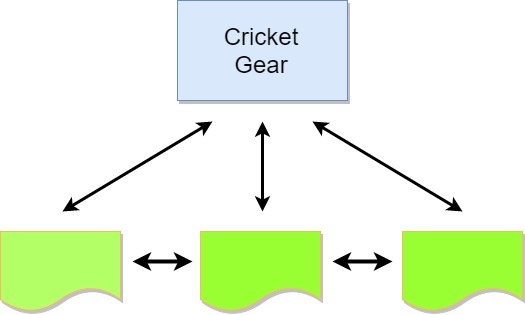 and each of these types of cricket gear would have their own brands silos under them. This is because you want to dominate bats and not the generic reviews keyword. If you have a toy site and you already have a separate sections for boys and a separate one for girls – and you have toys that are for both boys and girls… then you want to avoid placing these toys in both categories that will cause duplicate content. Siloing is for Topics only. Not for keywords or keyword groups! So, don’t ever do this..
You should never have a silo with generic names, like a specific size of a shoe. They should be topic and brands. You wouldn’t ever have a silo called small. Your silos should be actual topics and brands. Laptops, tech, mobile, iphone, tablets. For other niches, chairs, dining, kitchen, blenders, cutlery, fashion, shoes, boots, gaming, xbox, playstation, 360, xbox one and so on. That’s it for now. I hope you enjoyed this mammoth post on Silos. As always, I’d love to get your feedback and shares! Entrepreneur, Technologist, Digital Marketer and SEO Expert. Always keen to be part of interesting projects. I have english review site, but some articles I want to rank only in Australia, but not sure if/how to create /au/ silo in WordPress ? I see some competitors have success with this. Secret Silo Structures for SEO – A Method Used By The Pros : Exposed!